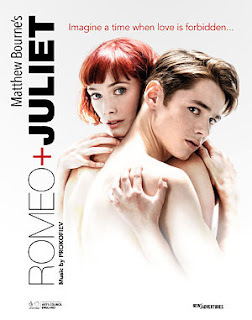 New Adventures have announced the world premiere of Matthew Bourne’s “ROMEO AND JULIET” opening at Curve, Leicester on Monday 13th May 2019 before touring to 13 UK venues with a four-week summer season at Sadler’s Wells in London from 7th-31st August 2019. Matthew Bourne’s “ROMEO AND JULIET” is a passionate and contemporary re-imagining of Shakespeare’s classic love story. Bursting with youth, vitality and Matthew Bourne’s trademark storytelling, Britain’s brightest young dance talent join the New Adventures company for this World Premiere production. Directed and choreographed by Matthew Bourne, collaborating with his entire New Adventures Associate Artistic team; Etta Murfitt, Associate Artistic Director, set and costume design by Lez Brotherston; lighting by Paule Constable; sound by Paul Groothuis; and new orchestrations of the Prokofiev score by Terry Davies, played live by the New Adventures Orchestra conducted by Brett Morris. The title roles of ‘Romeo’ and ‘Juliet’ will be played by six New Adventures rising stars and two exciting new dancers making their professional debuts.‘Juliet’ will be played by Cordelia Braithwaite, currently performing as ‘Cinderella’ on the international tour; Seren Williams, who joined the company in 2016 with Matthew Bourne’s award-winning production of “The Red Shoes” and Bryony Harrison who is making her debut with New Adventures on tour with Matthew Bourne’s legendary production of “Swan Lake”. ‘Romeo’ will be performed by Andrew Monaghan, currently ‘The Pilot’ in “Cinderella”, Paris Fitzpatrick who is playing the ‘Angel’ in “Cinderella” and João Carolino who joined the company in 2017 with “Early Adventures”. Making their professional debuts with the company are Harrison Dowzell, as ‘Romeo’, who auditioned for the Young Cast in Nottingham, and Bryony Wood, as ‘Juliet’, discovered during the Young Cast auditions in Southampton. 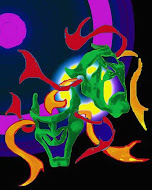 Both are in their graduate years at Performers College and Tring Park School for the Performing Arts respectively. New Adventures is working in partnership with both vocational colleges to support the completion of their training during the tour.